Are you wanting to talk to a professional about your future plans with a septic tank installation in Midland or Odessa? Are you having difficulties with your septic system? Are you wanting to come up with a plan of how best to implement your septic system? Are you tired of talking to people who claim they are the best in Septic Installation? If you answer yes to any or even all of these questions, you have landed on the right place. 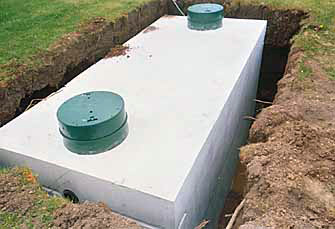 We at Midland Septic Tanks, know what you need. Let us be the professionals to handle your next Septic System or Septic Tank in Odessa, Midland, Greenwood or the surrounding area. Call us today at 432-741-3025. We want to offer you a service that you can't ignore. We will meet you on site to determine what is best for you and your septic system. Let us give you the free estimate you deserve. Call today for your free estimate. Did you notice the word FREE. Yes that is right we want to earn your business, not trick you into your business. Call us to schedule your free consultation and estimate. You will be glad you did. You have searched for the best. Look no further for your next Midland septic system, septic tank, septic pumping and cleaning, and so much more!